Open to chain-affiliated and independent hotels operating under one identity. Groups operating multiple brands should enter them individually. These categories are also open to companies who represent collections of independent hotels and market them under a common identity. With no unifying star rating system to define hotel attributes globally the Hotel and Resort Brand awards are segregated by market class. This is an industry categorization based upon average room rates and includes both chain-affiliated and independent hotels. An independent hotel’s market class is determined by the average daily rate, relative to that of chain-affiliated hotels in its geographic proximity. 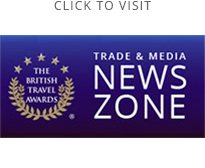 A comprehensive list of over 950 hotels brands listed by market class can be found on the Trade & Media News Zone website. Self catering holiday accommodation providers who offer UK, Europe and oversea properties in their portfolio. Chalet and lodgings booking companies who offer accommodation only or include transport via a third party supplier.